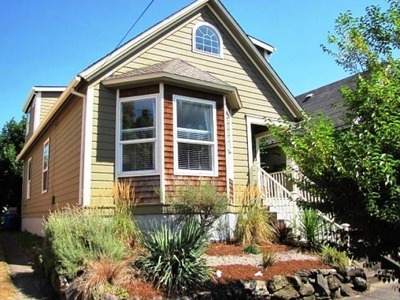 Location: My office is at 2732 SE 18th (4 houses south of Clinton), Portland, OR 97202. Look for the driveway to the left of the house (the driveway is shared with the pink house next door). Walk up the driveway to our backyard, enter the fenced area, and you'll see the back door, which is the entrance for the Rolfing® office. There's a sign on the door and a doorknocker. The intake form has my address and my phone number on it for your convenience. Appointment Times: Generally, weekdays at 9 AM, 10:30 AM, 1 PM, 2:30 PM, and 4 PM. I'm not currently offering evening or weekend appointments, but please contact me for a referral if needed. Sessions are 60+ minutes in length; please allow a full hour and a half in case we need the extra time. I offer a free 20-minute consultation in my office or by phone. © 2017 Karin Wagner, Certified Rolfer. All rights reserved.